NHL News : Former NHLer furiously calls league mid-game to complain about a call! Former NHLer furiously calls league mid-game to complain about a call! Miroslav Frycer managed to impress the Toronto Maple Leafs after his first season as a free agent in the NHL when he recorded twenty goals in 49 games back in the 1981-82 season. It was a great pickup for the Toronto: Frycer’s first three full seasons featured 20-plus goals and he led the ‘85-86 Maple Leafs with 75 points. However, that was back in the day. 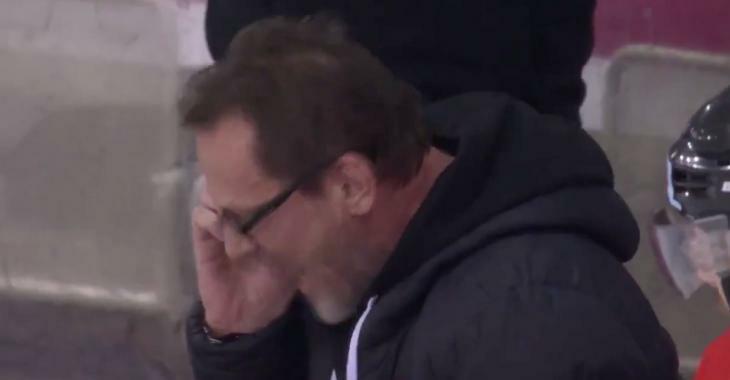 Frycer is now busy coaching in Austria, but the 59-year-old sure hasn’t lost his intensity. Streamable has published a video of a furious Frycer, who decided to grab his cell phone and contact the league to complain about a call against one of his players. The Orli Znojmo coach was not happy with the fact that his forward Patrik Novak was ejected from the third game of the series against the Vienna Capitals following a brutal hit. After the contest, the coach explained that prior to the third game of the series, a league supervisor had given him his phone number. The supervisor reportedly told Frycer that he could call him if he felt something was not right. However, Frycer took him at his word and tried to reach him in the middle of the game. Unfortunately, the supervisor did not give him an answer. But good for him to want to stick up for his players!